In this first book in the series, Davey and his friends have a big game coming up against Shimmer Bay, their arch rivals in the local comp. They need to practise, and spend all their free time at school – in the morning and at lunchtime – making sure they’ll be ready. But disaster strikes. 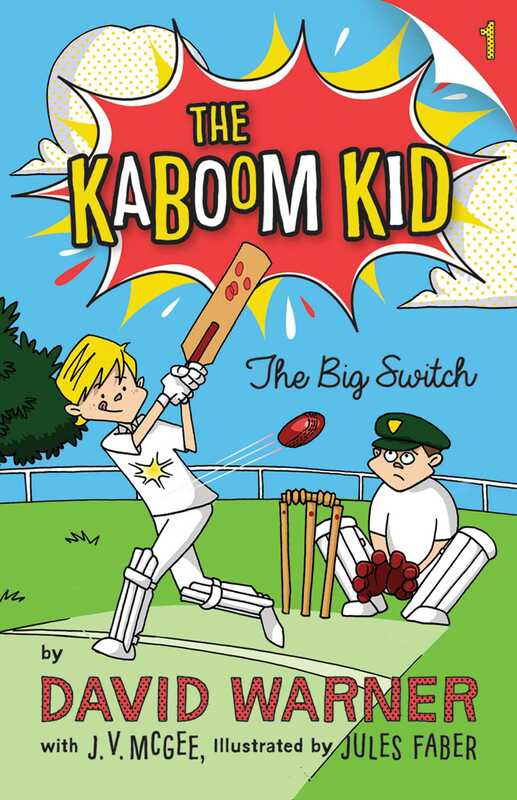 Davey and his friends find out their new teacher is Mr Mudge, a strict grump who HATES cricket even more than he hates Year 6 boys, and thanks to bully Mo Clouter, they find themselves on detention. Which means no cricket. The boys are desperate. They’re going to need to pull something special out of the bag to win against Shimmer Bay. Davey’s mates have some ideas, one that could really get them into trouble, but it means getting around Mo, who seems to be everywhere they turn. But Davey has an idea that he thinks may just work … he just needs to practise. Will he pull it off in time for the game against Shimmer Bay?